1. 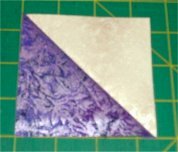 Make 16 HSTs using your background fabric and color #1. Trim them up to be 3 1/2″ square. 2. 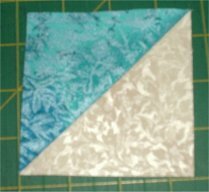 Make 8 HSTs using your background fabric and color #2. Trim them up to be 3 1/2″ square. 3. 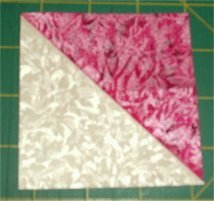 Make 4 HSTs using your background fabric and color #3. Trim them up to be 3 1/2″ square.